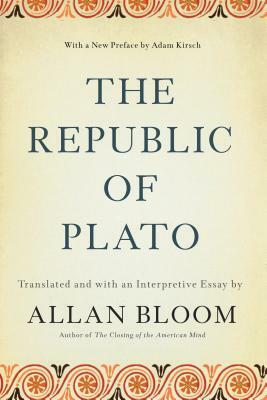 Long regarded as the most accurate rendering of Plato's Republic that has yet been published, this widely acclaimed work is the first strictly literal translation of a timeless classic. In addition to the annotated text, there is also a rich and valuable essay-as well as indices-which will better enable the reader to approach the heart of Plato's intention. Allan Bloom, 1930-1992, was a professor of social thought at the University of Chicago. He was the author of many books, including the number one bestseller The Closing of the American Mind. Adam Kirsch is a poet and critic whose work appears regularly in the New York Review of Books, New Yorker, Tablet, and other publications. The author of three books of poems and several books of criticism and biography, Kirsch lives in New York City.